Deadpool. In. Spaaaaace!!! Things haven't been great for Wade Wilson recently, and now he's got it into his head that there might be a solution. One that lies in the inky blackness of deepest, darkest outer space! Man, when Deadpool gets away from it all, he doesn't fool around! 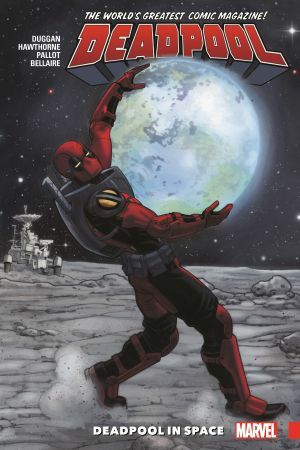 It's an epic of galactic scope as Wade goes to the edge of the Marvel cosmos and back! 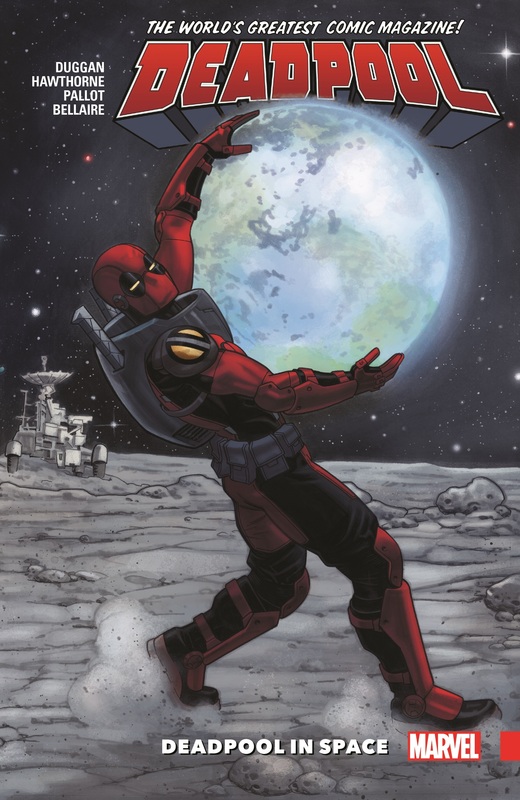 Plus: In a secret story known only to compulsive Deadpool variant-cover collectors, Odin ejects the regenerating degenerate from reality - and into the cover-verse! Can a team-up with UPC-PO, the living embodiment of the UPC code, help Wade return to the world he left behind - or will it just be an excuse for parodies and shenanigans? We're guessing the latter. 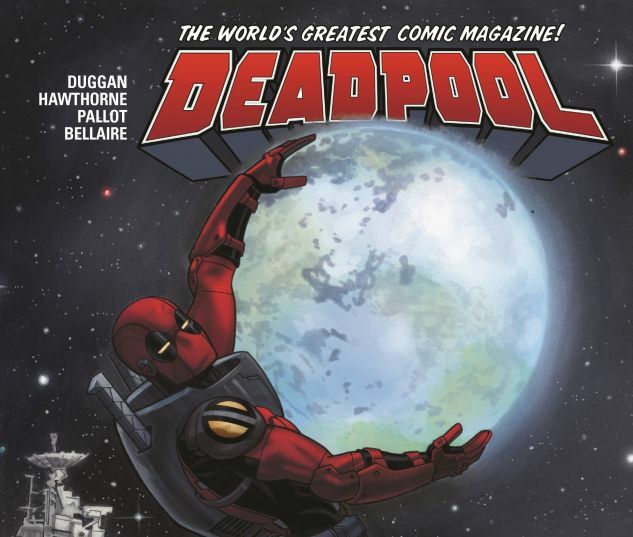 Collecting DEADPOOL (2015) #30 and the DEADPOOL SECRET COMIC VARIANTS.